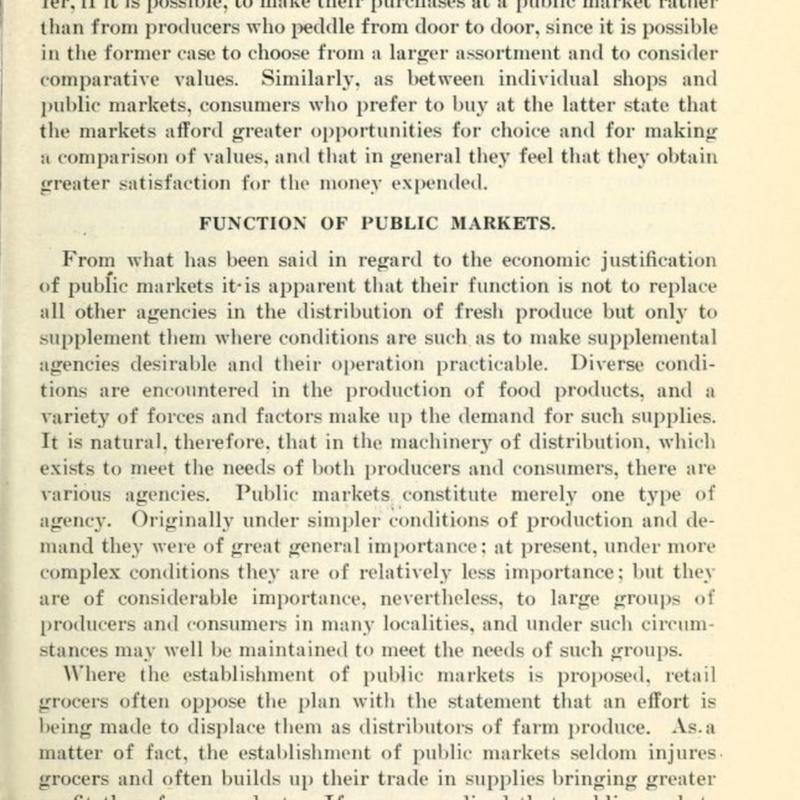 From the point of view of the producer the function of public markets is to furnish an easily accessible place where there is a considerable demand for his goods and where at relatively slight expense he can personally conduct sales. 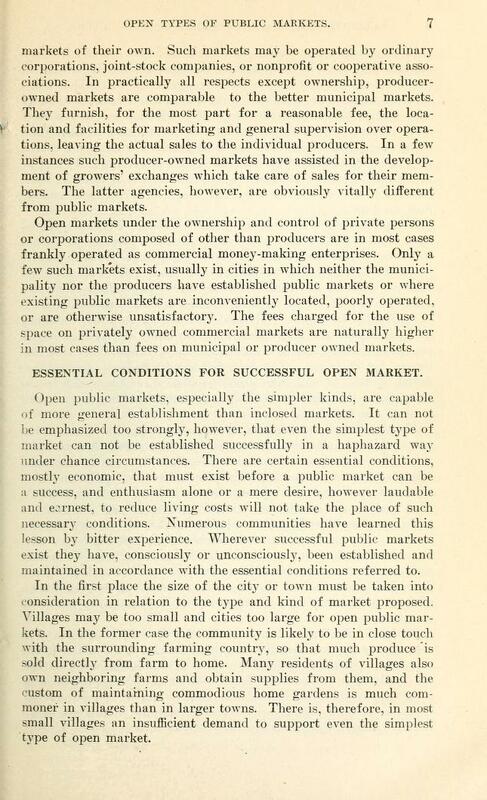 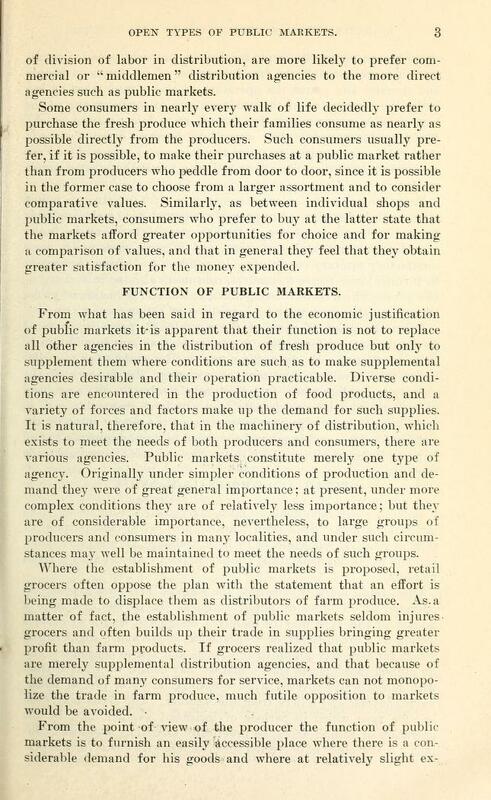 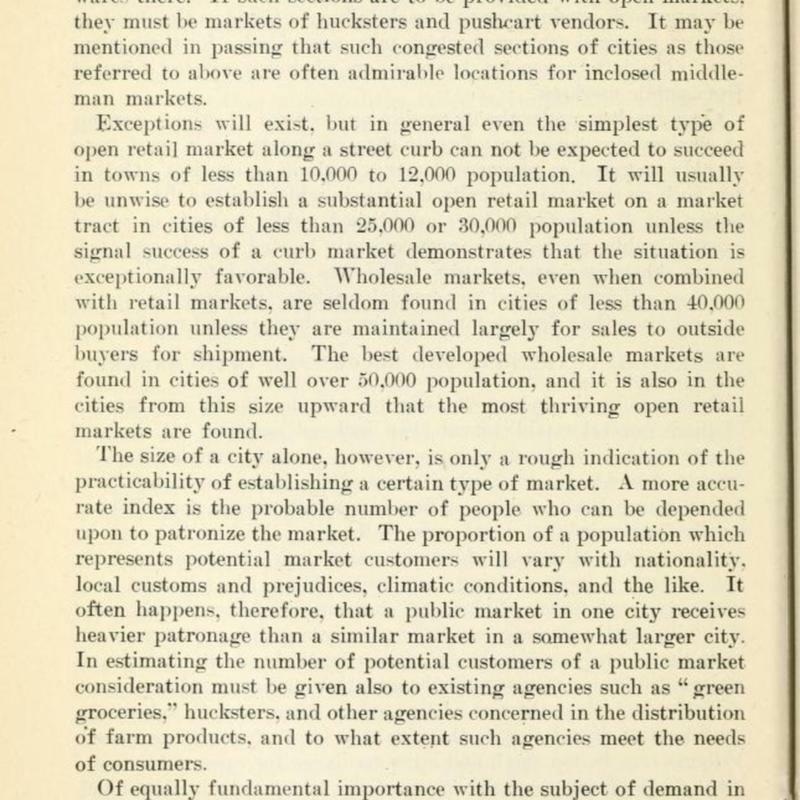 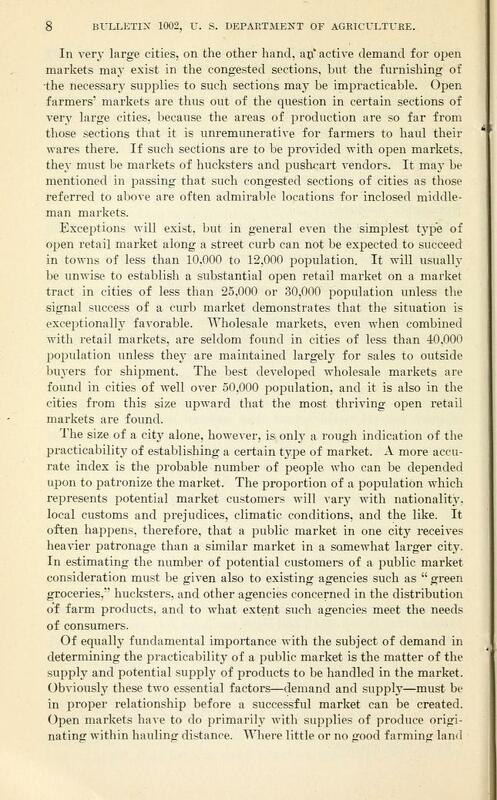 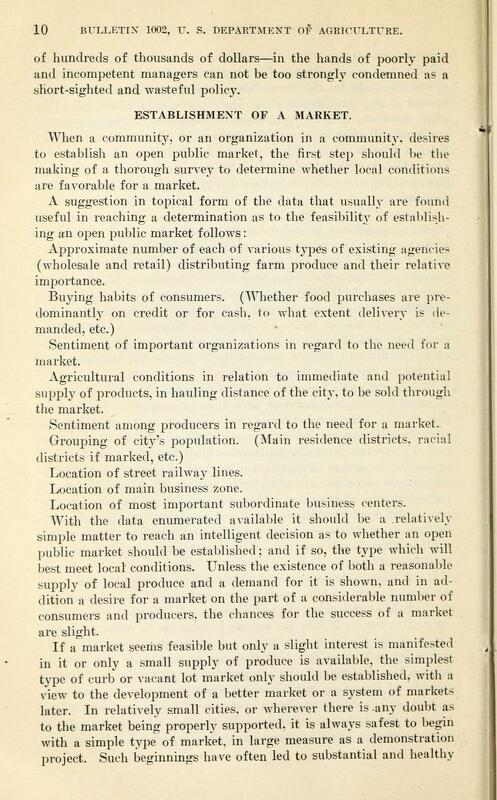 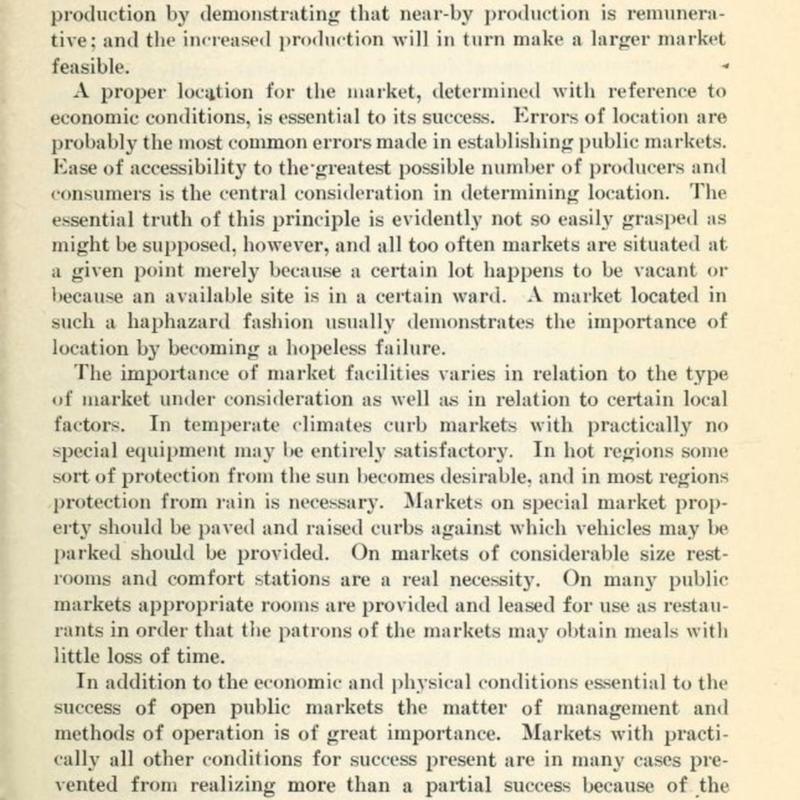 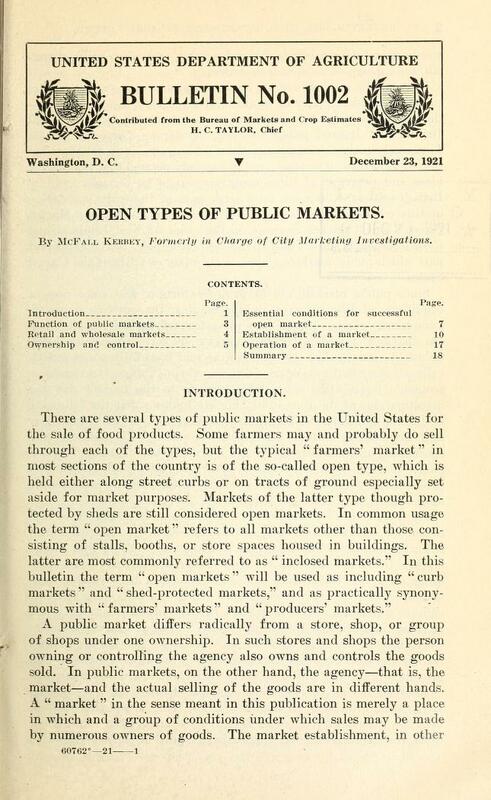 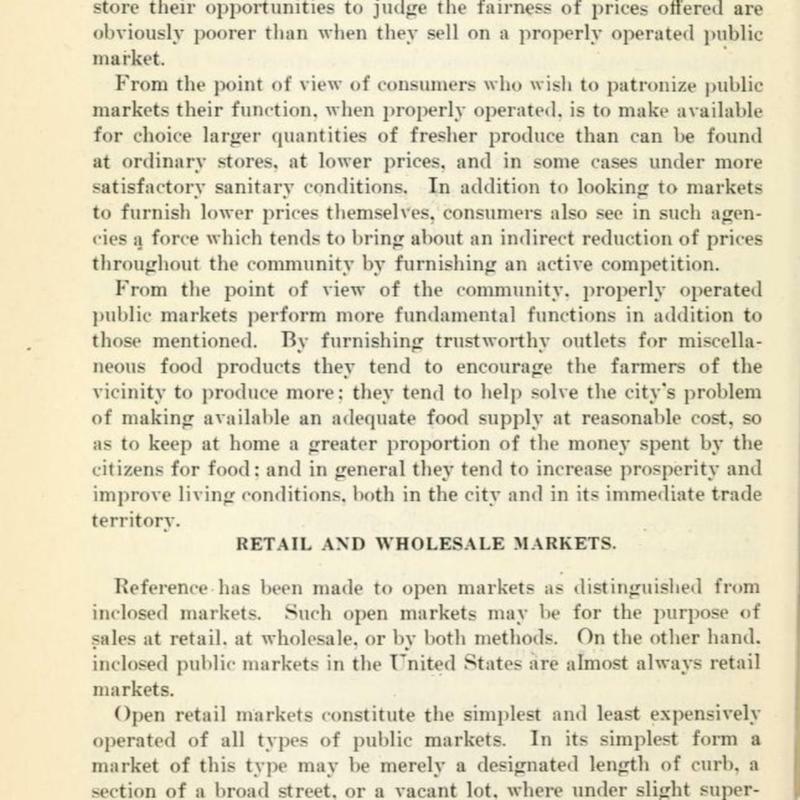 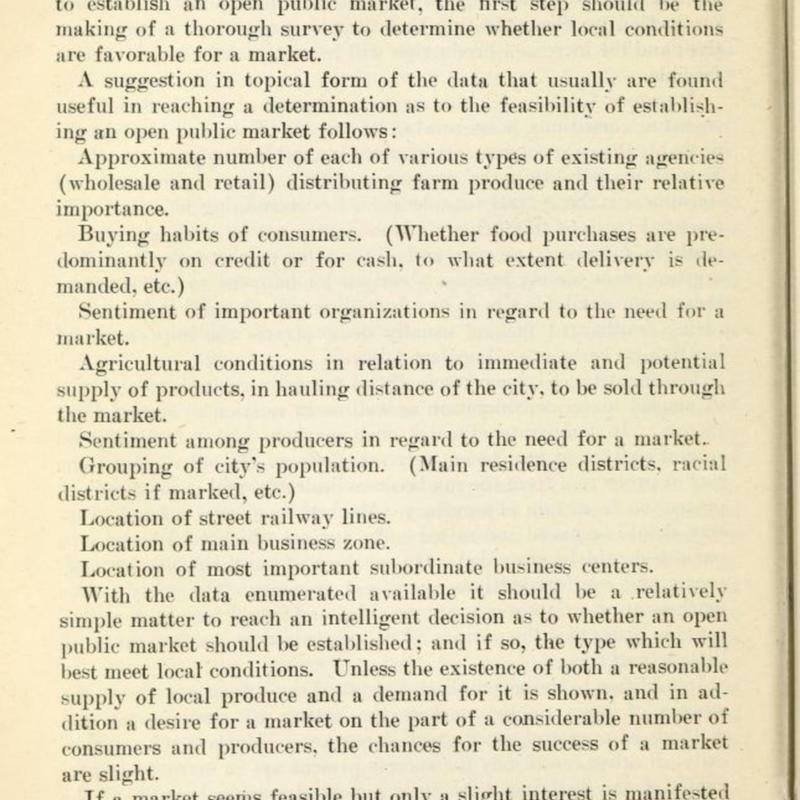 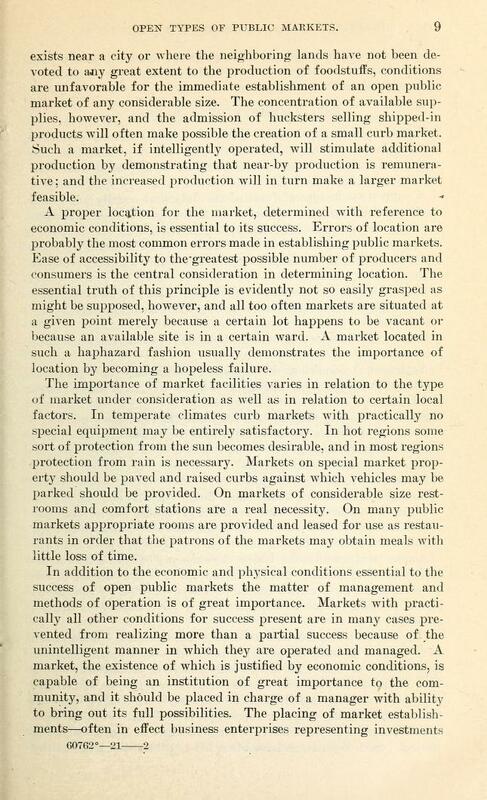 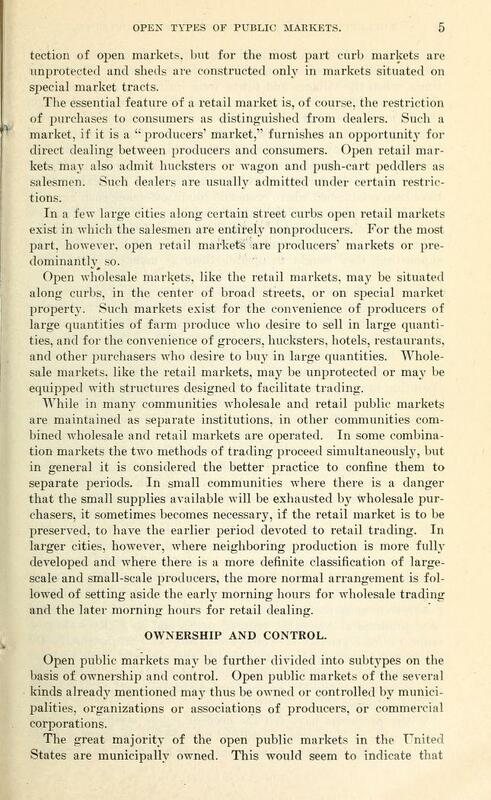 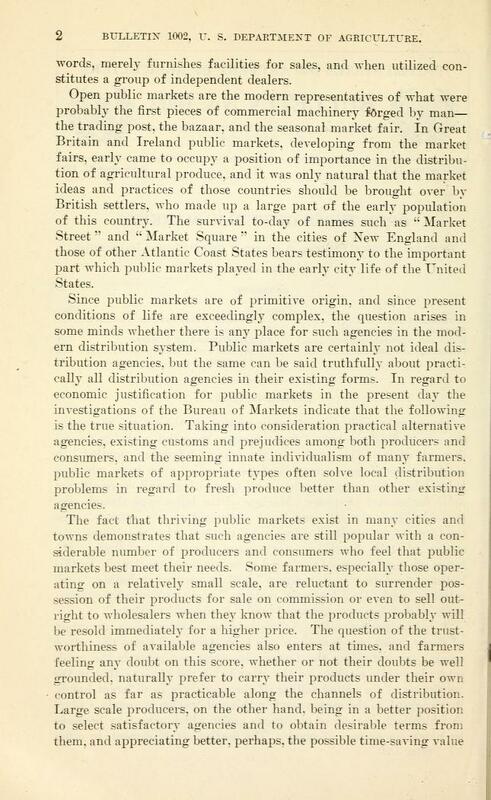 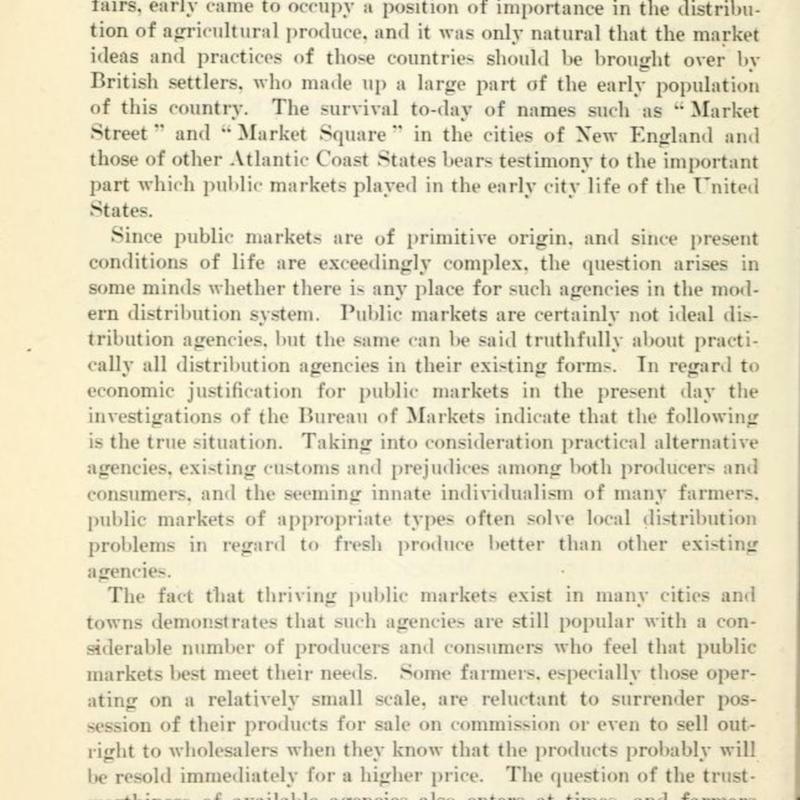 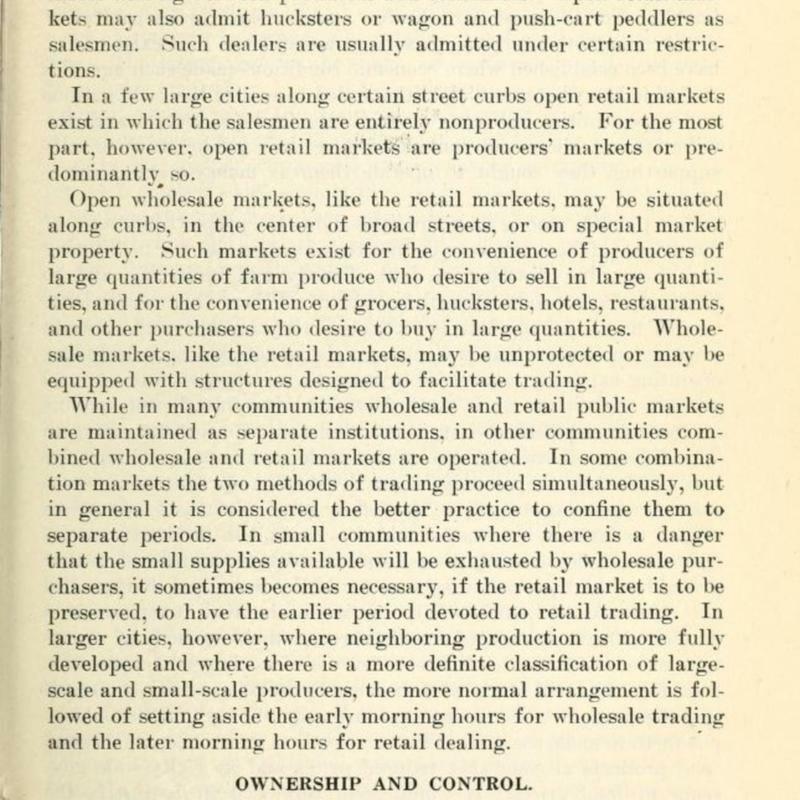 A properly operated public market makes possible the free interaction of the' forces of supply and demand and places the operation of such forces more or less under the observation of the producer, and so furnishes one of the best possible opportunities for arrival at -a fair "market price. 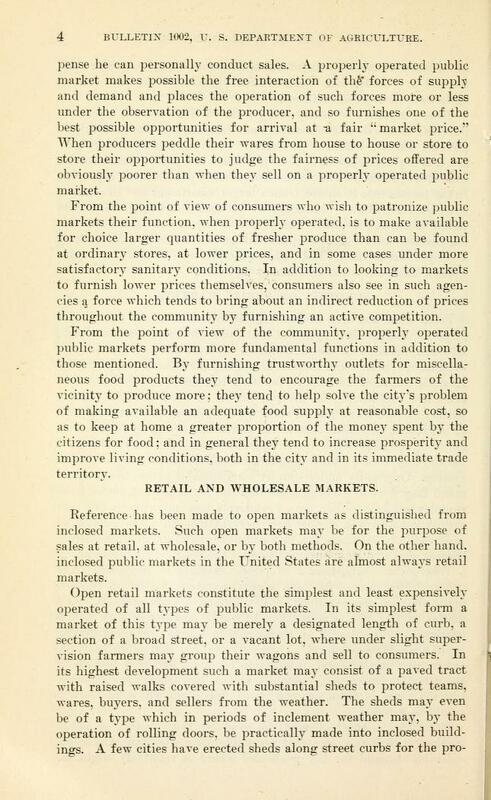 *' When producers peddle their wares from house to house or store to store their opportunities to judge the fairness of prices offered are obviously poorer than when they sell on a properly operated public market. 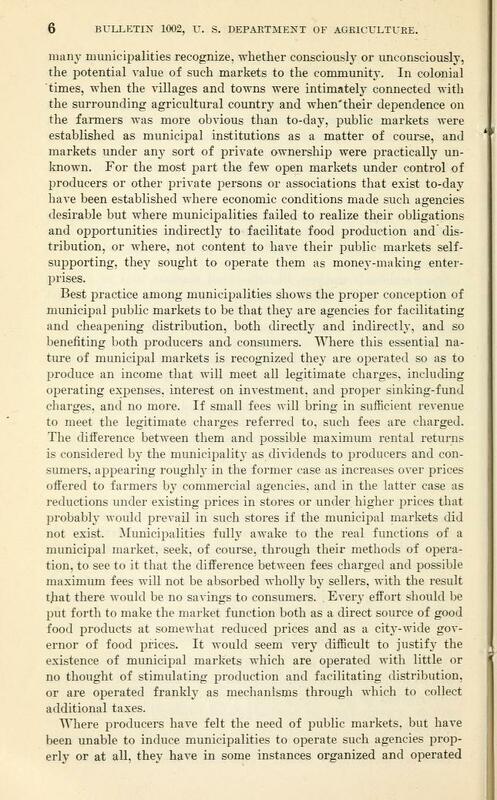 to furnish lower prices themselves, consumers also see in such agencies a force which tends to bring about an indirect reduction of prices throughout the community by furnishing an active competition. 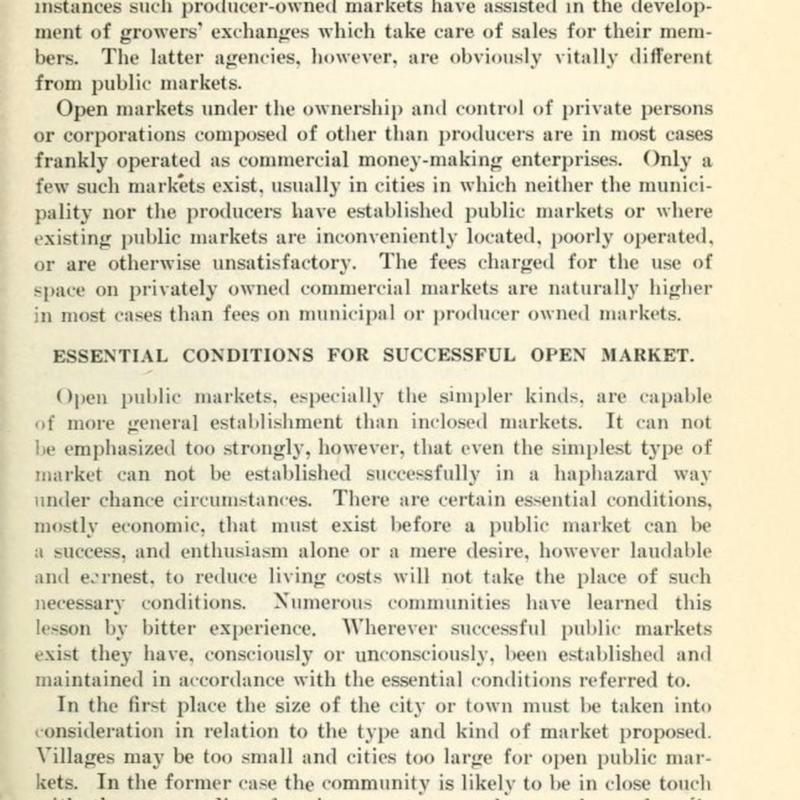 From the point of view of the community, properly operated public markets perform more fundamental functions in addition to those mentioned. 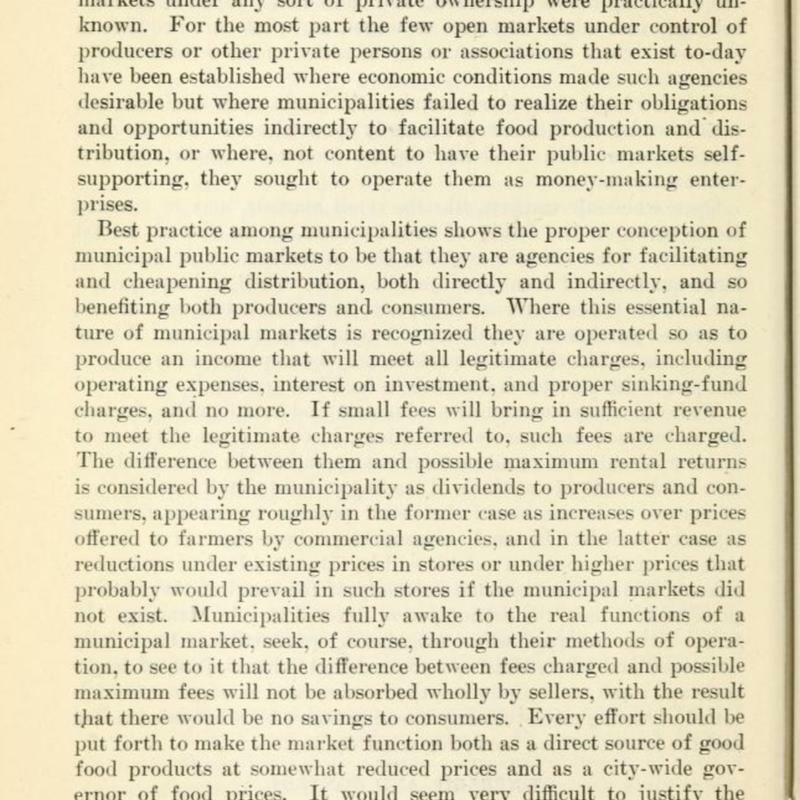 By furnishing trustworthy outlets for miscellaneous food products they tend to encourage the farmers of the vicinity to produce more; they tend to help solve the city's problem of making available an adequate food supply at reasonable cost, so as to keep at home a greater proportion of the money spent by the citizens for food; and in general they tend to increase prosperity and improve living conditions, both in the city and in its immediate trade territory.